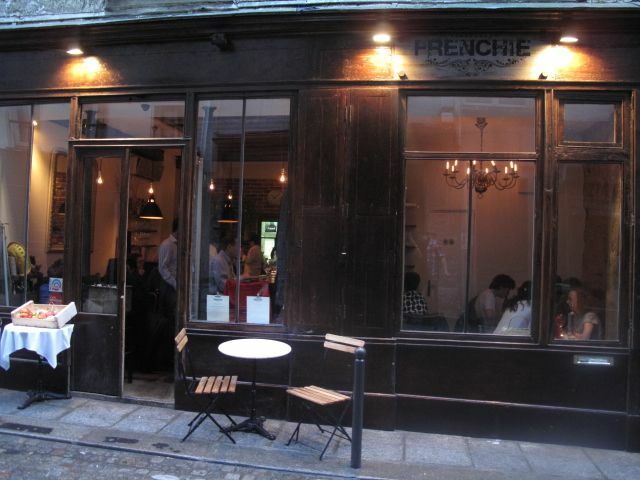 Frenchie…where to begin. 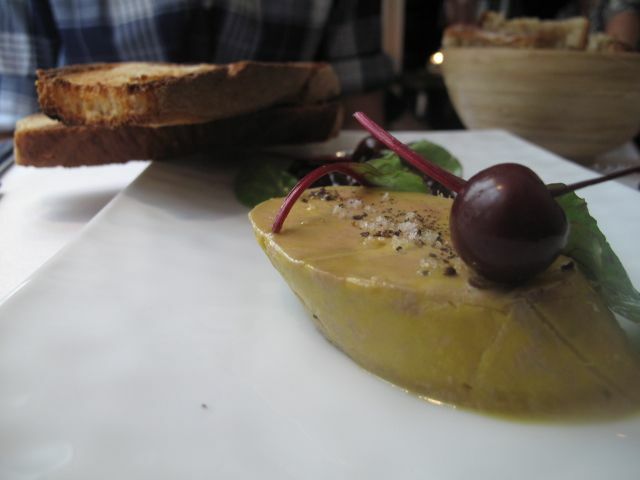 Since my arrival in Paris in September 2010, I have been wanting and endlessly trying to get a reservation. Every time I call, a voice answers on the other side; alas, it is not a person but a machine advising me to call back between the hours of 2.30pm to 3.30 pm…recently they now only take messages between 3pm and 5pm. All in all, my relationship with the voice machine had not developed any further; rather it had disintegrated. Don’t even think about leaving a message. The website itself does not provide any further information but the calling hours for reservations. Today is a public holiday in France so this afternoon, I decided to try my luck and call. I was ready to hang up the phone once I heard a voice but it wasn’t the voice I’d usually hear, it was that of a human…A human! I wanted to make a reservation for this evening but the man on the other end of the phone told me he’d call me back if he had good news. No more than 20 minutes later, to my absolute surprise, I was able to grab a last minute table for this evening at 7pm. There was no way I could pass up this opportunity after waiting 10 months…10 months. In the wholesale clothiers of the 2nd arrondissement, the restaurant sites in an alleyway next to a non-descript Thai restaurant. Seating for about 20 people, the interior is simple but surprisingly homey. 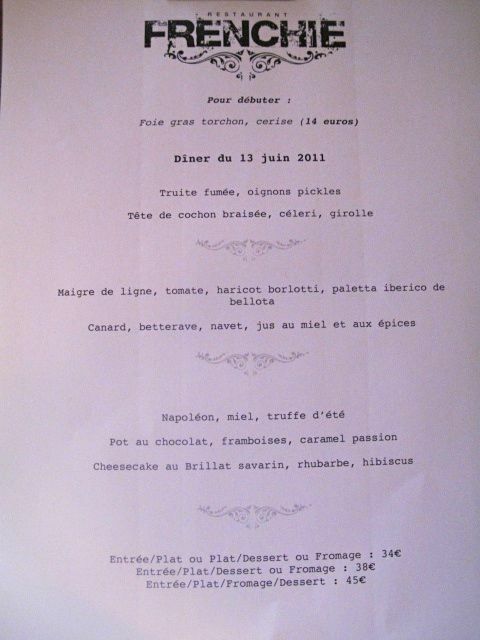 The Nantes-born Gregory Marchand owns the restaurant and cooks solo (assisted by an intern; also a fellow classmate from Ferrandi and recently an additional former colleague from London). The skills he’s honed working in Jamie Oliver’s 15 in London for 3 years (where he got his kitchen nickname; yes…Frenchie) then in New York’s Gramercy Tavern for a year and a half lives up to the hype he’s made. 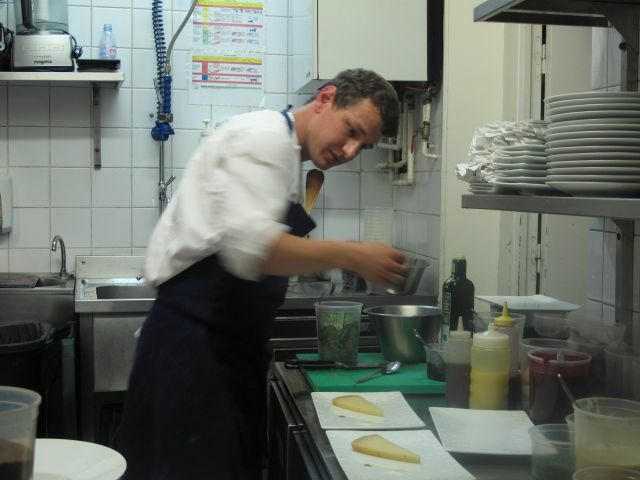 Yes, a French guy going abroad for cooking experience…And, no it’s not the end of the world. 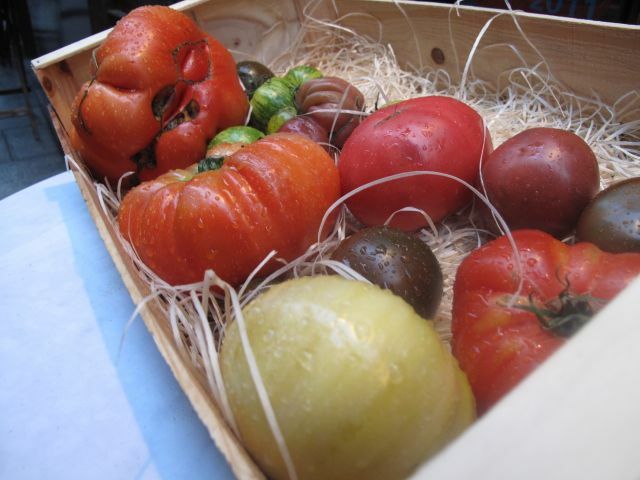 The food here is market-based, with the menu changing weekly. A lot of work for 1 person but this place is free of gimmicks and the ingredients shine in every dish. 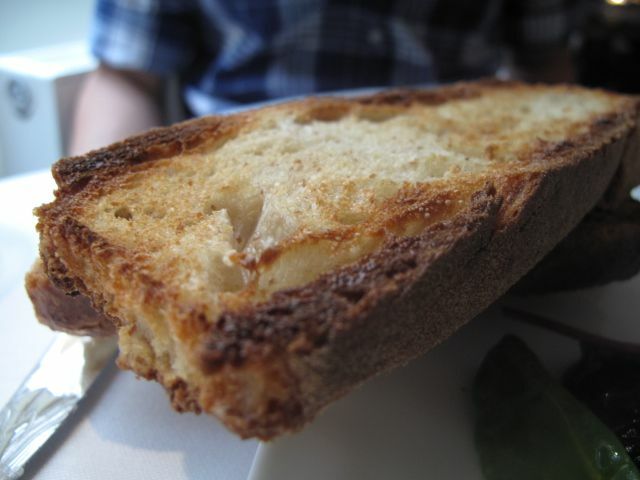 The restaurant is narrow and you can peak into the tiny kitchen in the back of a red-brick dining room that easily resembles a small restaurant in Nolita (New York City) or Shoreditch (London). You get the vibe. Media has made a quick buzz over the restaurant since it opened. A large part of his success is owed to the great value of €38 3-course prix-fixe menu at dinner, the good service and neighborhood as well as laid-back atmosphere. 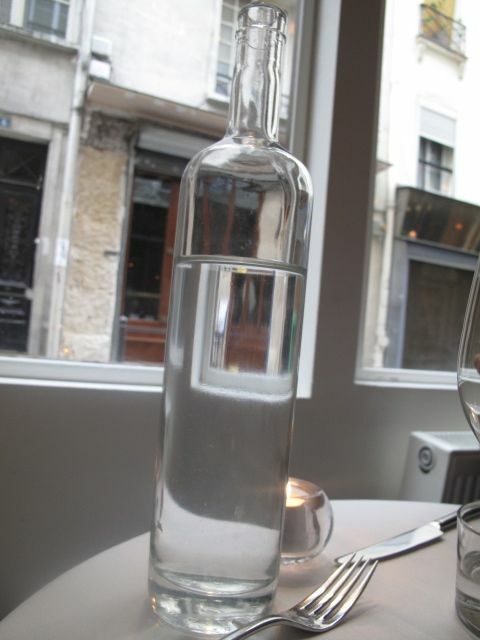 Behind the glass, a preview of Frenchie’s wine bar…opening tomorrow! A peek though the kitchen…Hard working Harry, also from 15. 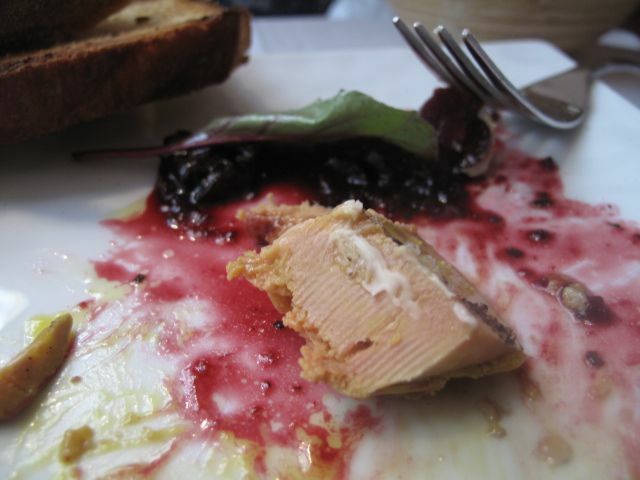 Terrificly (if that’s a word) moist foie gras; hard on the outside, melting on the inside accompanied by a sweet cherry sauce and warm toasted bread. 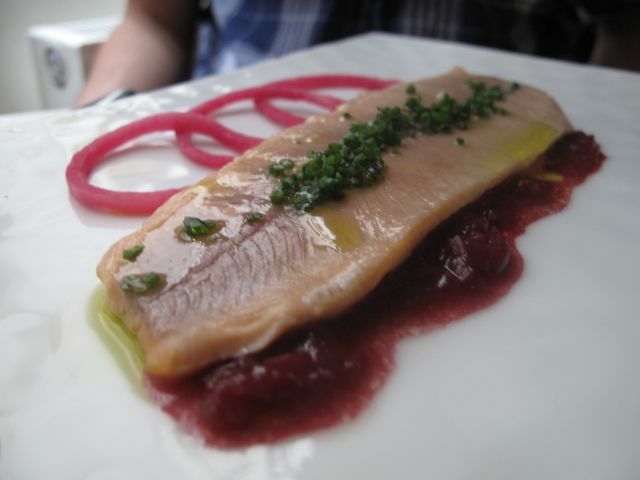 Delicate house-smoked trout with pickled red onions. Smokey and sour; just the right combination. 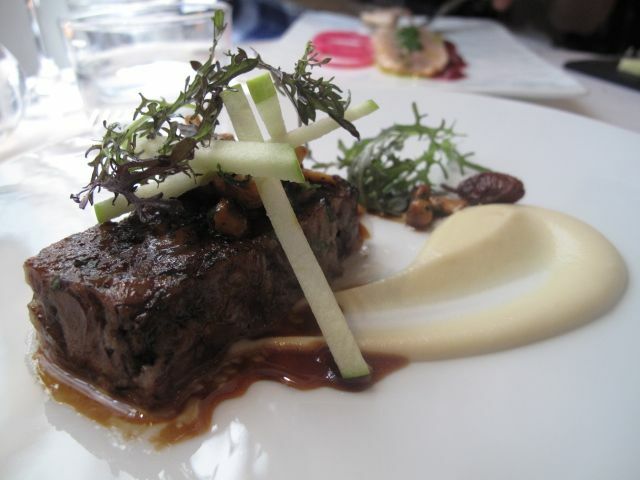 Warm, smooth shredded meat with a perfect smooth puree and girolles mushrooms. 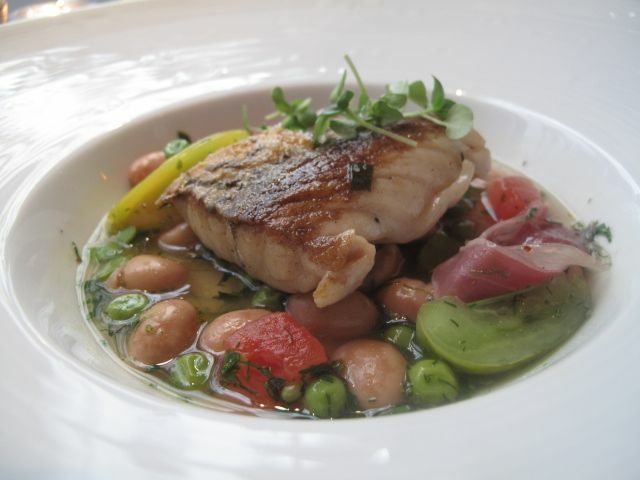 The bouillon (soup) in which the fish came from was inspiring; tangy like lemongrass and lemons with a touch of dill yet the taste in your mouth was clear as silk; definitely a beautiful combination with the pan-fried fish. 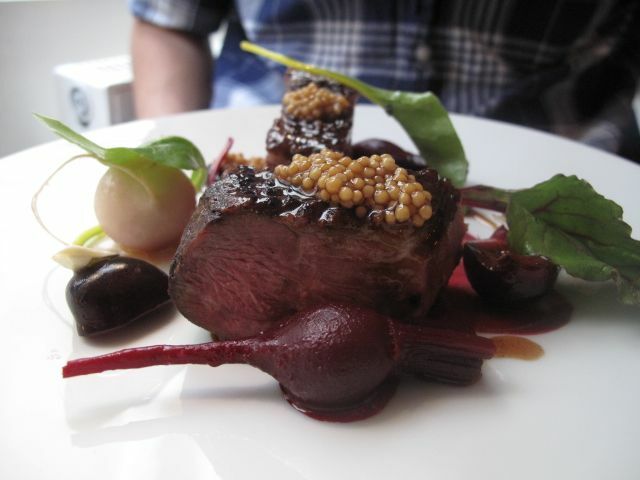 A rose piece of meat, quite chewy, beautifully paired with the red beets and the reduction of its sauce and jus. 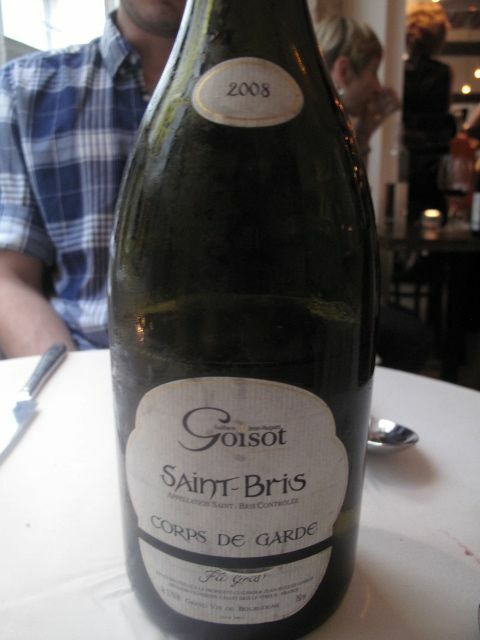 A nice bottle of White Burgundy to accompany our meal. Though the dinner reservation was for 7pm, the dining area was nearly full, something you rarely see in Parisian bistros, especially with the coming of summer and the sun setting much later. Despite the travels Marchand has made in his life, he stays unique to his upbringing. 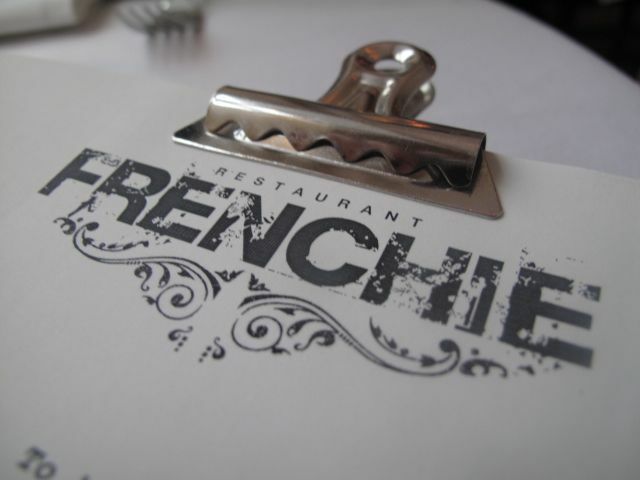 Frenchie remains a French restaurant with inspiring, daring and confident cooking with exquisite presentation. I think that after all the hype, he still has not lost the ‘it’ factor. 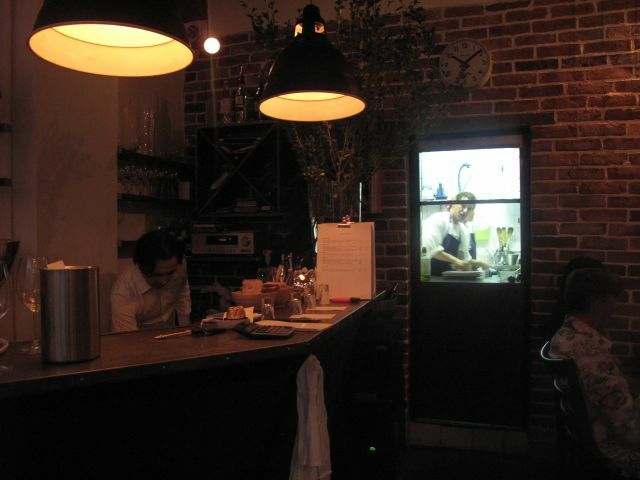 Here the Chef cooks rather than oversees the food. As for getting in, it’s getting easier: Marchand has added a second dinner seating (but is no longer serving lunch), so your chances at night have just doubled. 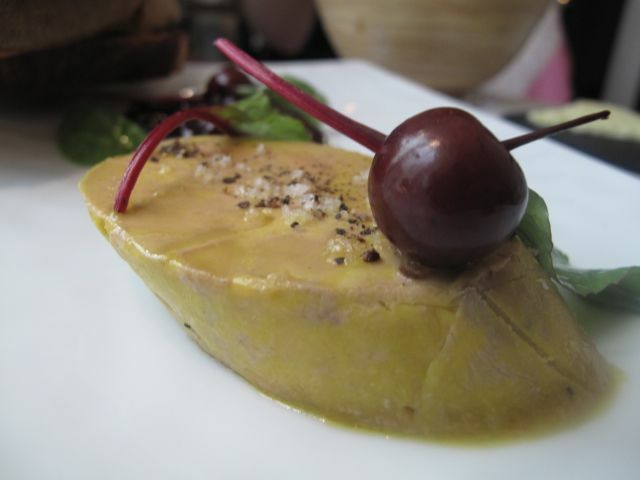 I was thoroughly impressed with the meal and my expectations were met. Would I go again? Absolutely. But would I wait another 10-months? I’d rather take the chance of knowing a friend cancelled last minute and gave the reservation up to me. this is SO on my list. i’m hoping i won’t have to wait 10 months though!